The attorney representing the mother of a man fatally shot by police attacked the district attorney’s professional ethics in legal papers filed in federal court Wednesday. The family of Joseph Tailent, who was shot and killed by Gwinnett police officer Lanny Britt during an undercover drug bust in 1996, has filed a federal lawsuit seeking several million dollars. That suit is still pending. Attorney Mike Puglise filed papers Wednesday attacking District Attorney Danny Porter’s handling of specific investigations involving police officers. The papers filed Wednesday seek a court ruling on Porter’s credibility as an export witness. 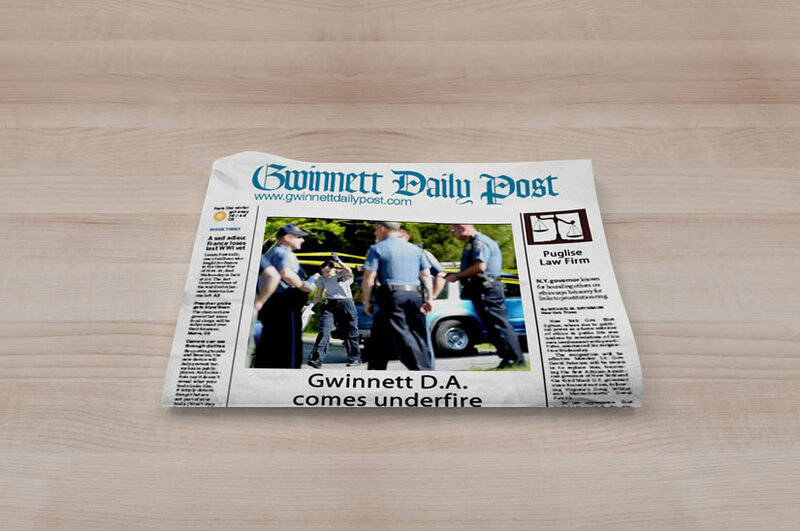 Porter’s office found there was no criminal wrongdoing in the Talient shooting, and the police department determined the shooting was accidental. However, it is the case against a Lilburn police officer for using excessive force against an 18-year old that that apparently led to the allegations against Porter in the Talient suit. Porter recently closed the case because he said his contact with the alleged victim Kevin Francis Collins was limited by Puglise and another attorney. Puglise is asking the federal court in the Talient suit to consider Porter’s ability to be unbiased when it concerns alleged crimes by police officers, claiming he refused “to conduct a through investigation into the police beating of Mr. Kevin Collins” and alleging it is a pattern by the district attorney where police officers are accused of excessive force. Porter responded, “All of the statements made in the document are of course legal pleadings and allegations to achieve a certain result. Mr. Puglise has mischaracterized my actions to achieve an end in the interest of his client. I think the truth will all come out in court. Collins has a $1.25 million lawsuit pending against Lilburn. Porter further stated the attorneys for Collins did not care about the investigation. “They didn’t really want an investigation it’s a civil [lawsuit] strategy. I always stood ready to investigate Kevin Collins complaint but it had to be on my terms. I cannot be controlled on the way I conduct my investigation” said Porter. When the attorneys for Collins said they wanted the FBI to investigate, Porter said he inferred they did not want his office to continue its investigation. “I’ve been doing this for 17 years and I would put my professional reputation against Mr. Puglise’s reputation for professionalism anytime” said Porter. “My record is pretty clear on the prosecution of police officers.” Porter’s office has successfully prosecuted two police officers, one for murder and armed robbery, and another officer is also facing trial for forging prescriptions for painkillers. Tallent, 21 allegedly was selling drugs to a police informant when the shooting occurred in 1996. He was shot in the back of the head when Britt’s gun discharged as he was chasing Tallent at a Chevron station. A videotape shows Britt reaching to grab him, the gun discharged and Tallent was struck in the back of the head.